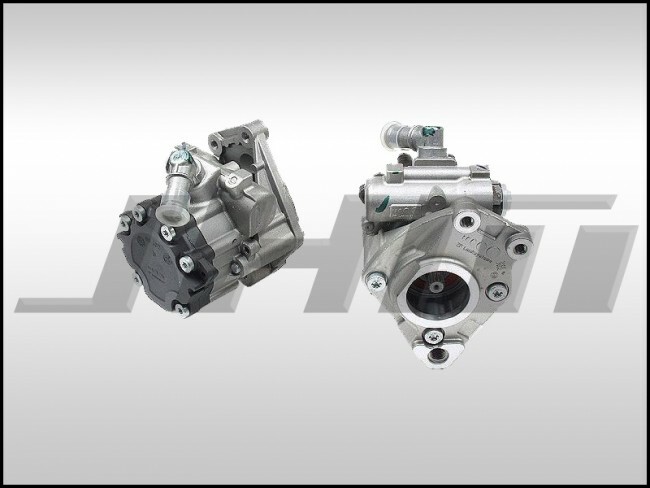 This is a brand new, OEM power steering pump for your B7-RS4. This is a new pump, not a rebuilt or remanufactured unit. It comes directly from Audi and is the same pump that came on your car from the factory. The OEM part number is 4Z7145156G or 4Z7 145 156 G.
When trying to fix an issue with your power steering system, please be aware that a failed or failing pump can cause damage to many other steering components. Consider investigating the power steering rack and pinion before installing a brand new pump that will only get destroyed from debris in the power steering system. Don't forget to add some power steering fluid to your shopping cart!